The ReSound Multi Mic connects directly to any ReSound wireless hearing aid and extends the hearing range by up to 80 feet in clear line of sight. 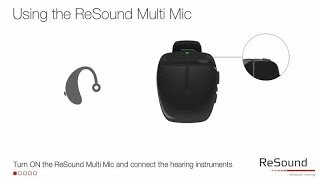 The Resound Multi Mic works like the ReSound Micro Mic and also doubles as a table microphone, connects with loop and FM systems, and has a mini-jack input to turn your hearing aids into headphones. See how easy it is to set up the ReSound Multi Mic. 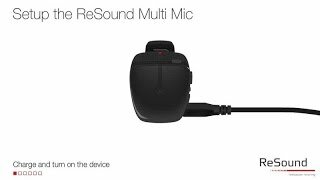 Find out how easy it is to use the ReSound Multi Mic.